This valentine day make sure that you be more meaningful than showy. The point is to give something that is meaningful ad really loving. You can gift a present that is phenomenal and expressive. There are messages that can be really romantic and stylish. There can be gestures that make them feel different and really unique. 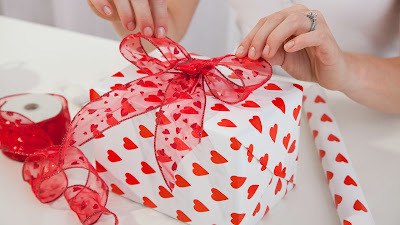 Whether you give a Valentine’s Day gift online or by hand; there are good choices in gifts to choose from. You can pick anything or everything that interests the other person. If you don’t know much about the other person when it comes to their interests and preferences then you can go generic too. You can pick something like a bouquet of flowers or a chocolate hamper that is loved by approximately ninety nine percent people. If you know that the other person is in love with books and they love to read them then you can give something related to books. Yes, you can pick a romantic or loving book for them that you think they would love to read. Of course, they would not just love the gesture but also the thought behind it. You can find plenty of amazing authors and writers with a streak of impressive books. You can pick a genre that you think the person loves or simply go for love related books. Believe it or not, such a book would not just get a place in her book shelf but also in her heart. Yes, if you know that the people you are going to give a romantic valentine gift is using simple eraser for his shaving then why not just give him an electric shaver? That would be so thoughtful and romantic too. Of course, you can give something that he uses every day and feels you when he holds it in his hand. Come on, this would be a cute present for sure. Yes, if it is winters or summers; you can give a pack of creams that is useful and stylish. There are beautiful hampers featured with so many pampering creams and lotions in them. These hampers look really cool, feel great and are absolutely spectacular. You can find cute small packs or huge ones too. Moreover, whether you give it to a man or woman; you can find exclusive options as per the gender. A band that says it all! There are good quality bands in silver and other wonderful fabrics and materials that look stunning. You can give a love band to your love and it would be so sweet. You can pick one that looks good with all types of clothes so that the person wear it as much as they want to. Whether females or males; you can always come across the love bands that are apt. So, you can easily choose a wonderful online valentine gift that suits the person you are giving it to! Keep exploring and expand the warmth of your love with a perfect gift!